kurthy wrote: As pointed out earlier, I'm really surprised Megatron and Starscream didn't make the list. The rivalry is so famous that there's a trope named for Starscream. Every addition needs a sibstraction, so instead of just pointing on who whould be on the list, could you give your own top 5 list to show who you would remove? Metroplex vs Trypciton is a nice rivalry but is it better than Animated Ratchet vs Lockdown? Amelie wrote: [color=deeppink]We're kinda forgetting one of the big ones here, too. Big in size sure, but is it a great rivalry? Is it fun to follow? It always felt rather bland to me. Like happening for the sake of it. EunuchRon wrote: What, not even an honorable mention for Omega Supreme and Devastator? How about Skylinx and the Predacons, or Superion vs Menasor? Those should at least hit the HM list! If we named them all then there wouldnt be much point to these comments right? The honourable mention isnt really about entries that didnt make the list but rather entries that couldnt make the list. All the ones you mentioned are straight forward rivalries that could have made the list but simply didnt. The honourable mentions in the list are more about different rivalries we wouldnt think of right away that the writers wanted to mention but that werent on the same level as the rest of the list. They are items that if they didnt get mentioned, no one here would probably mention them. Do you get what I mean? shajaki wrote: Oooooooo whatabout this one? Were they ever rivals though? They felt more like the teams sending out their biggest weapons. Like if Russia and the US each deployed a special weapon to go up against the opposing nation. The weapons arent really rivals to oneanother, its more the ones that sent them out that are. Nemesis Maximo wrote: Dude, the fact that you put Depthcharge and Rampage on there is the best ever. Motto: "That which does not kill us sure leaves a mark." I totally get it now. Thanks! EunuchRon wrote: I totally get it now. Thanks! 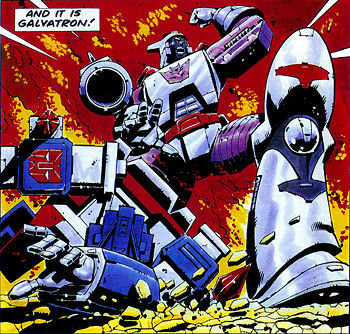 how about Galvatron and EVEYRONE WHO CROSSES GALVATRON! Amelie wrote: I'm amazed that Galvatron with himself didn't make this list. Galvatron and Ultra Magnus ... 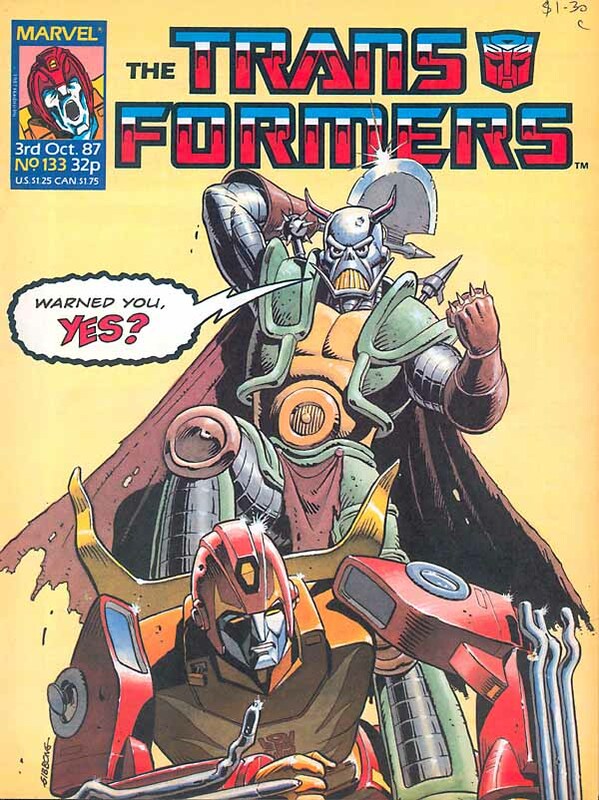 I mean that Marvel UK cover of Galvatron riding Magnus in alt mode is a freaking classic. Something a little more obscure but Rodimus Prime and Deaths Head. You could go through the entire run of Marvel UK and find a bunch of fun little rivalries. Galvatron riding Ultra Magnus' cab wasn't a cover originally unless it's been used as such on a modern reprint. It was a splash page in issue 86 of the UK comic. Michael Bay vs the Fandom. Technically not fiction I know. Windsweeper wrote: Galvatron riding Ultra Magnus' cab wasn't a cover originally unless it's been used as such on a modern reprint. Windsweeper wrote: Michael Bay vs the Fandom. Clearly this is the series I favor the most, as it is what I grew up on and consider the origin canon for the franchise. This isn't a rivalry. It's not like the fandom is making live action films as well. Brainstorm and Perceptor in MTMTE. So funny. Nemesis Maximo wrote: Brainstorm and Perceptor in MTMTE. So funny. And Cyclonus and Whirl. Now that I think about it you could probably find a rival for everyone on the Lost Light. 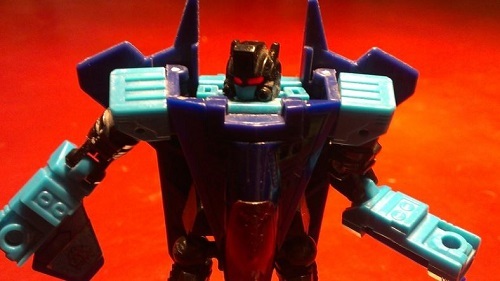 Sky-Byte and Scourge! 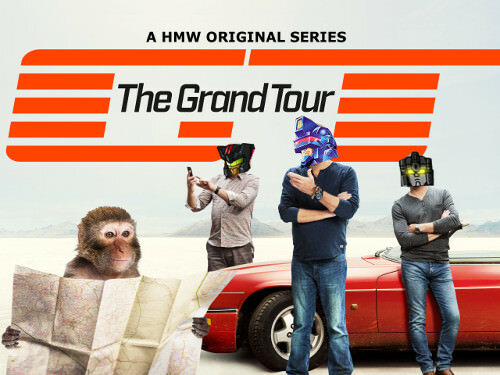 Seriously, that alone made the original RiD show watchable. The hated loyalist and beloved backstabber made for a really entertaining character dynamic. 2. Starscream and Megs - probably the most repeated trope in the franchise, even more than "one shall stand"
Thank for writing it all down It does seem that you are leaving out anything outside of the G1 continuity though, I guess nothing else left as much of an impact on you, right? Can we stretch this one to cover Optimus Primal and Megatron too? They may have started their fight as strangers, but as time went on you could see it become more and more personal. 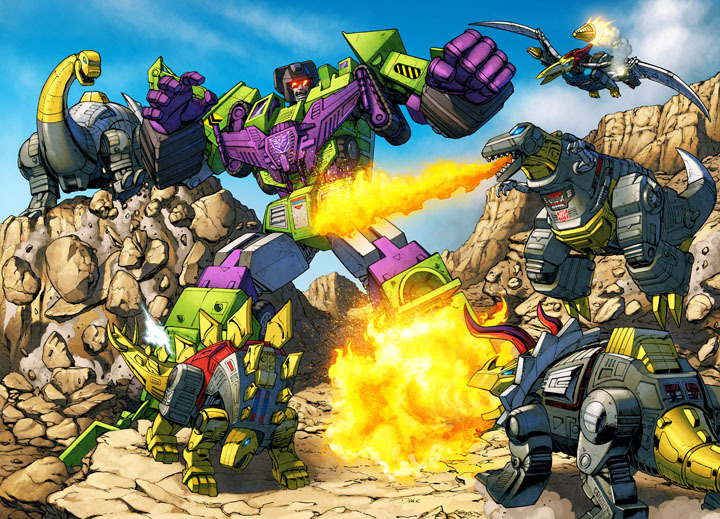 D-Maximus_Prime wrote: While Bulkhead and Breakdown had a good rivalry, I feel we were cheated out of that one because we were never given a reason why, and it was never really explained why those 2 were always going at each other and calling each other their arch nemesis. It doesn't help that their rivalry always seemed to take a back seat to Arcee and Airachnid's. Not that Arcee and Airachnid's rivalry isn't plenty intense in and of itself, mind you. I was a little surprised that one didn't make the list, or at least the honorable mentions. The sadistic pleasure Airachnid takes from Arcee's suffering and the pure, volatile hatred Arcee harbors towards Airachnid make this one for the books. shajaki wrote: I always felt really let down when Dinobot returned as a Transmetal 2. Not only was there no reaction from Rattrap, but there was little to no reaction from the Maximals in general. You would think, with "their" Dinobot being so pivotal that there would have been some incredible opportunities for stories between this new Dinobot and his past life friends. For whatever reason, Beast Wars spent little time remembering its fallen. Dinobot may be the most visible example of this, but he's hardly the most drastic. And this phenomenon is hardly unique to Beast Wars, either. TFP Dreadwing comes to mind. I used to feel this way, but I'm pretty sure it's actually the writers who are the problem. As much influence as the conductor may have on an orchestra, what they're playing still comes from the composer. Tf prime soundwave and treacherous deceptions. It was really cool how Starscream would avoid saying or doing things out of fear of him. I also like how airachnid, who hasn't spent as much time around soundwave significantly underestimated both his surveillance and physical strength. The fight between the two was cool. 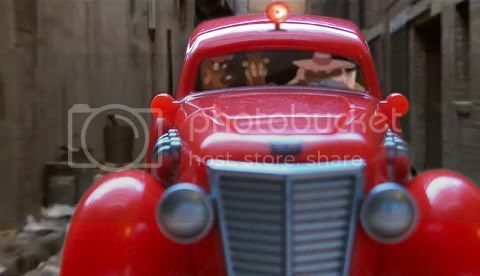 Overall, I like how, without saying anything, he keept deceptions attempting to overthrow Megatron in line. Also, TF prime Starscream vs just about everybody (Megatron, Arcee, Optimus, Bumblebee, Dreading, Shockwave, Predaking, etc etc). Nacelle wrote: Tf prime soundwave and treacherous deceptions. It was really cool how Starscream would avoid saying or doing things out of fear of him. I also like how airachnid, who hasn't spent as much time around soundwave significantly underestimated both his surveillance and physical strength. The fight between the two was cool. Overall, I like how, without saying anything, he keept deceptions attempting to overthrow Megatron in line. Hell yeah, did you see who was number 1 on our best Prime Characters list? Yep, saw the list. I do agree with it (especially Megatron and Soundwave). 1)Dinobot and Rattrap - Given I am a fan of villains, not heroes, yet Beast Wars did break the mold for me in that regard. Exemplified by these two. Independently, I'm not really a fan of either of them. Together, they were pure gold, in even the worst episodes of Season One IE The Low Road. 2)Megatron and Starscream - As mentioned previously, I got into G1 through The Movie. As such I find limited appeal in the seasons that preceded it. It speaks for itself that this is the only rivalry I cared enough about to mention however. On the other hand, this rivalry became so iconic it has seemingly doomed each subsequent 'Starscream' to repeat the trope established. 3)Depthcharge and Rampage - An adversarial rivalry is a fine line to walk. The kind that tick a box for me are the kind represented by these two. Pure hate. As mentioned by Will, the kind of rivalry wherein they will virtually forsake everything else around them to end the bitter struggle. Two of the absolute best characters Beast Wars created. 4)Waspinator and The Universe - Perhaps 'and luck' would be more specific. As in Waspinator appears from the beginning to the end of the Beast Era to have very little joy out of either, in spite of surviving the whole era. 5)Lockdown and Ratchet - I didn't like "ole man Ratchet", this rivalry though made me enjoy him a lot more. Introducing a new villain who wasn't an idiot or fodder was appealing too. 3,084 pages were recently viewed by 643 unique visitors. This page was viewed 1 times on Saturday, April 20th 2019 3:25am CDT. © 2019 Seibertron, Inc. DBA Seibertron.com. All Rights Reserved. Established June 2000. Seibertron.com is owned by Ryan Yzquierdo.